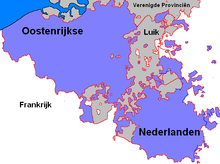 The Southern Netherlands,[lower-alpha 1] also called the Catholic Netherlands, was the part of the Low Countries largely controlled by Spain (1556–1714), later Austria (1714–94), and occupied then annexed by France (1794–1814). 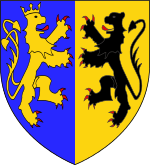 The region also included a number of smaller states that were never ruled by Spain or Austria: the Prince-Bishopric of Liège, the Imperial Abbey of Stavelot-Malmedy, the County of Bouillon, the County of Horne and the Princely Abbey of Thorn. 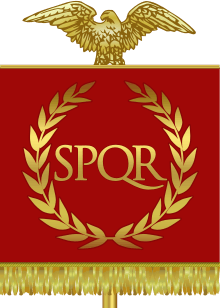 The Southern Netherlands were part of the Holy Roman Empire until the whole area was annexed by Revolutionary France. The Low Countries (plus Liège, Stavelot-Malmedy and Bouillon), the border between the Northern Netherlands and the Southern Netherlands is marked in red. 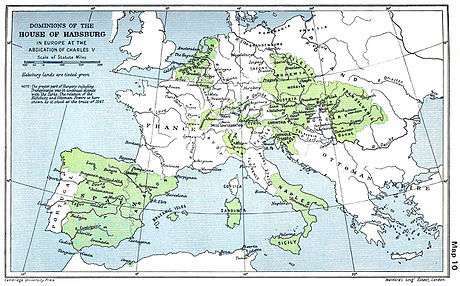 As they were very wealthy, the Netherlands in general were an important territory of the Habsburg crown which also ruled Spain and Austria among other places. But unlike the other Habsburg dominions, they were led by a merchant class. It was the merchant economy which made them wealthy, and the Habsburg attempts at increasing taxation to finance their wars[lower-alpha 2] was a major factor in their defence of their privileges. This, together with resistance to penal laws enforced by the Habsburg monarchy that made heresy a capital crime, led to a general rebellion of the Netherlands against Habsburg rule in the 1570s. 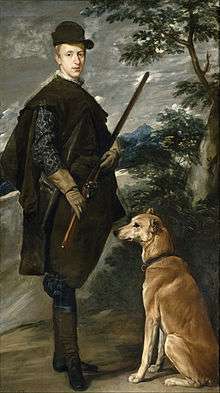 Although the northern seven provinces, led by Holland and Zeeland, established their independence as the United Provinces after 1581, the ten southern Netherlands were reconquered by the Spanish general Alexander Farnese, Duke of Parma. Liège, Stavelot-Malmédy and Bouillon maintained their independence. The Habsburg Netherlands, passed to the Austrian Habsburgs after the War of the Spanish Succession in 1714. Under Austrian rule, the ten provinces' defence of their privileges proved as troublesome to the reforming Emperor Joseph II, Holy Roman Emperor as it had to his ancestor Philip II two centuries before, leading to a major rebellion in 1789–1790. 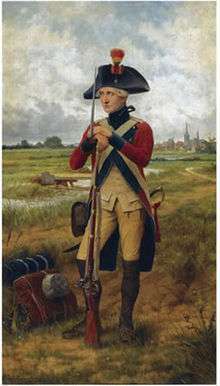 The Austrian Netherlands were ultimately lost to the French Revolutionary armies, and annexed to France in 1794. Following the war, Austria's loss of the territories was confirmed, and they were joined with the northern Netherlands as a single kingdom under the House of Orange at the 1815 Congress of Vienna. 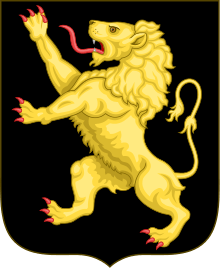 The southeastern third of Luxembourg Province was made into the autonomous Grand Duchy of Luxembourg, because it was claimed by both the Netherlands and Prussia. The failing wars intended to regain the 'heretical' northern Netherlands meant significant loss of (still mainly Catholic) territories in the north, which was consolidated in 1648 in the Peace of Westphalia, and given the peculiar, inferior status of Generality Lands (jointly ruled by the United Republic, not admitted as member provinces): Zeeuws-Vlaanderen (south of the river Scheldt), the present Dutch province of Noord-Brabant and Maastricht (in the present Dutch province of Limburg). 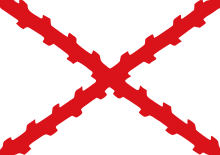 As Spanish power waned in the latter decades of the 17th century, the territory of the Spanish Netherlands was repeatedly invaded by the French and an increasing portion of the territory came under French control in successive wars. By the Treaty of the Pyrenees of 1659 the French annexed Artois and Cambrai, and Dunkirk was ceded to the English. 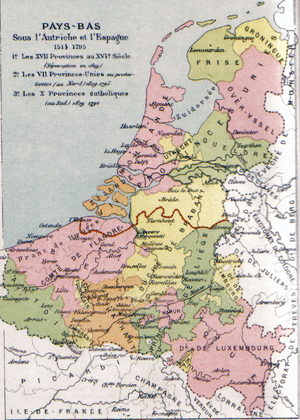 By the Treaties of Aix-la-Chapelle (ending the War of Devolution in 1668) and Nijmegen (ending the Franco-Dutch War in 1678), further territory up to the current Franco-Belgian border was ceded, including Lilloise Flanders (around the city of Lille), as well as half of the county of Hainaut (including Valenciennes). Later, in the War of the Reunions and the Nine Years' War, France annexed other parts of the region. In the course of the French Revolution, the entire region (including territories that were never under Habsburg rule, like the Bishopric of Liège) was overrun by France in 1794 then annexed to the Republic (October 1, 1795). Only a minority of the population - mostly the local Jacobins and other members of "Societies of Friends of Liberty and Equality" in urban areas - supported the annexation. The majority were hostile to the French regime, above all because of the imposition of the assignat, wholesale conscription, and the ferocious antireligious policies of the French revolutionaries. The opposition was first led by the Catholic clergy, which became an irreducible enemy of the French Republic after it dissolved convents and monasteries and confiscated ecclesiastical properties, ordered the separation of Church and State, shut down the University of Louvain and other Catholic educational institutions, regulated church attendance and introduced divorce. In 1797, nearly 8000 priests refused to swear the newly introduced Oath of Hatred of Kings ("serment de haine à la royauté"), and went into hiding to escape arrest and deportation. The situation, particularly in the religious field, eased with the rise to power of Bonaparte in 1799, but soon, the intensification of conscription, the police state and the Continental System, which brought ruin to Ostend and Antwerp, reignited opposition to French rule. During that period Belgium was divided into ten départements: Deux-Nèthes, Dyle, Escaut, Forêts, Jemmape, Lys, Meuse-Inférieure, Ourthe, Roer and Sambre-et-Meuse. ↑ The example of these expensive wars which is best known to English-speaking people is that of the Spanish Armada. However, that came in 1588, a little after the Dutch had become exasperated to the extent of signing the Union of Utrecht in 1579. ↑ A seignory comes closest to the concept of a heerlijkheid; there is no equivalent in English for the Dutch-language term. 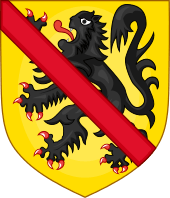 In its earliest history, Mechelen was a heerlijkheid of the Bishopric (later Prince-Bishopric) of Liège that exercised its rights through the Chapter of Saint Rumbold though at the same time the Lords of Berthout and later the Dukes of Brabant also exercised or claimed separate feudal rights. ↑ Bitsch 1992, p. 73-75. ↑ Kann 1974, pp. 229-230.